No one knows what it is like raising a child with ADHD unless you have actually experienced it. ADHD stands for Attention Deficit Hyperactivity Disorder. ADHD causes a child to not be able to focus due to hyperactivity. They become easily distracted and unable to focus on their tasks. It becomes difficult for them to finish schoolwork and often they struggle with keeping their grades up due to their lack of attention. When it comes to parenting a child with ADHD, it can be a real challenge. Sometimes the best thing you can do as a parent is to reach out to other parents who have experienced similar challenges. When you have a child who cannot focus or pay attention to one task for more than a minute or two it can be frustrating. We all love our children, but there’s only so much we can do. Reaching out to others is truly the best thing that you can do so you can brainstorm with other parents who have experienced the same struggles. There are ADHD support groups available to parents who need it. Knowing where to find that help will be the key to coming up with new ideas that could potentially help your child. When it comes to finding a support group related to ADHD the best place to start is the internet. You will find various groups that meet in person as well as online. There is a website called CHADD (Children and Adults with Attention Deficit/Hyperactivity Disorder) and they provide parents with a directory of where to find support groups in their area. You can do a basic search by state or do an advanced search so you can narrow it down to specifics. This directory provides you with local groups, parent to parent certified teachers, as well as various other professional services. WebMD also has an online directory to help you search for ADHD support in your area. Whether you need a teacher, therapist, or a support group in your area. There are centers all over the country that provide a number of different services to help you cope with your child’s ADHD. You can also check out libraries and community center to see if there are any postings for support groups. There are a number of ways in which you can find the support that you need. There are a number of support groups for parents of children with ADHD both online and in person. You will be surprised at the overwhelming amount of support you can discover simply by doing a little digging. Every parent faces challenges when it comes to making the right choices for their child with ADHD. Finding parent support groups to help you cope through these struggles will be the key to opening up doors that you never knew existed. Here are some of the most common groups for parents and what they can offer you in terms of support and guidance. This is a very unique website that was created for parents of children with ADHD. It is very user-friendly and is a great place for a parent to start when it comes to support. It is an open forum where you can post questions, concerns, and receive feedback from other parents who visit the site. They also provide informational resources for parents as well such as health blogs, expert answers, and various other groups that you can join. You do not have to pay anything to utilize the resources. This is a great forum in which you can vent and ask for various types of support without feeling judged or ridiculed. 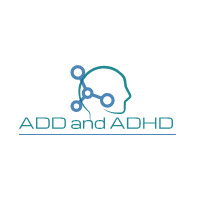 This website is an excellent resource for all things related to ADHD and learning disabilities. This is an amazing website filled with information related to living with ADHD and parenting a child with ADHD. There is even a link in which you can find other resources such as support groups and therapy. It also provides parents with a list of different medication and treatment options to help you make the right decision for your child. You can even subscribe to their magazine which will provide you with everything the website does. You will learn a lot from this group of individuals and also receive tremendous support. Most people spend a lot of time on Facebook keeping up with friends and looking at pictures of cats. What a lot of people forget is that Facebook can also be a great online resource when it comes to finding support. There are a number of groups (search ADHD) that you will find no matter what your circumstances are. One is called ADHD Kids Care that was created for parents who have a child with ADHD or other special needs. You can come here for support, advice, and to find information about ADHD therapy and various other topics. This is a wonderful resource for parents and caretakers of children with ADHD. It even provides a separate section for teachers and other instructors. You can find various answers to just about any question you could possible think up related to ADHD. ADHD is something that also affects you, the parent or caregiver. This is the point that this group is trying to make when creating this website. It is extremely user-friendly and easy to navigate. The resources are tremendous and can guide you in the direction of support groups. Parents.com has a great website that is jammed pack with various resources and opportunities for support. You can read various articles from parents who are having similar struggles as you and join forums to further pick the brains of other parents of children with ADHD. It provides you with links that tell you more about the signs and symptoms of ADHD as well as other treatment options. This website has a little bit of everything and provides parents with a great resource and means of support. There are a number of common circumstances that most parents of children with ADHD go through on a regular basis. Often times you have a difficult time finding answers to your questions. Here are some tips that will provide ADHD help for parents while also answering many of your questions. It is not always the easiest thing to do but you must learn to accept the fact that your child is a little bit different and requires a different kind of attention than a typical child. A child can tell if you are disappointed in them or resent them in some way and that is forcing negative energy on them that they simply do not need. Accept them for who they are and you will both find comfort in that. Many individuals who do not know the situation like you do, may say things about your child that are unkind and unnecessary. Nobody knows your child like you do. Don’t let those hurtful words block your vision. They don’t know what you know so don’t allow them to change your feelings about your child. It is important to understand the medication. Never over or underestimate the impact that medicine has on your child. While some medication works for some children it may not work for another. Every single child is different and requires a different type of treatment. Do not assume that one type of medication is going to benefit every single child with ADHD because it is simply not the case. You must be able to determine the difference between punishment and discipline. Discipline has the ability to because it provides the child with a lesson on how to behave. Punishment is not the same thing because it really isn’t teaching any lesson at all. Understanding the difference between the two of these could really make a significant impact on your child’s behavior. When searching for ADHD support groups it is always important to remember to be patient and non-judgmental. You are there to make friends, not enemies. You may not approve of the way a certain parent is handling your child but that is not your concern. Your focus should be on gaining advice and support to help better raise your child with ADHD. You will at some point meet someone that you connect with and can ask their personal advice on certain matters. Not everybody is a kind hearted individual seeking support, but more often than not, you will encounter people in the same boat as you. Go online and do plenty of research when you begin seeking out support groups. Find one that is the right fit for you.